Welcoming all students regardless of experience, level, age, gender or body shape. I took my first yoga class in 1995 and hated it. I didn’t understand it – here I was breaking a sweat while standing still “doing nothing”. It was torture. I was an athlete and gym rat when I met yoga, plus it wasn’t as popular as it is now so I didn’t know anyone who practiced yoga. I had no idea that the teachings of yoga for me would become essential for living a vibrant, healthy life. I went back to a yoga class a year later in 1996 when I was forced to take yoga in my graduate school program. I think it took 6 months before I was hooked, and I’ve spent the last 22 years exploring several styles of Hatha Yoga in depth: Ashtanga, Jivamukti, Yogaworks, Vinyasa Flow and Anusara. (Not many teachers have three distinctly different basic yoga teacher trainings under their belt. Yogaworks 2001 – with Maty Ezraty & Lisa Walford, Forrest Yoga w/Ana Forrest 2002, Flow w/Shiva Rea 2004.) Forrest Yoga remains my primary yoga influence and inspiration. I’ve completed the Forrest Yoga Advanced Training twice, first as a student in 2014 then again in 2016 as Lead Assistant. 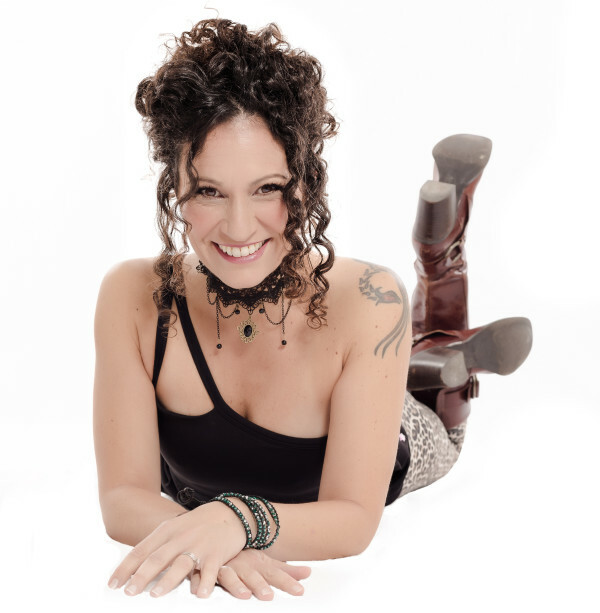 Other certifications/trainings/honors include: Certified Life Coach, Artist of the Spirit Coach Training; Warrior Goddess Training Facilitator, HeatherAsh Amara; Registered Prenatal Yoga Teacher (RPYT), Dolphin Method 85 Hour Prenatal Vinyasa TT; Pole Fitness Instructor, Felix Cane Inc, OC Pole. I recently completed the Basic Teacher Training at S Factor San Francisco, and I’ll soon be offering classes in this incredible Movement of the Feminine. 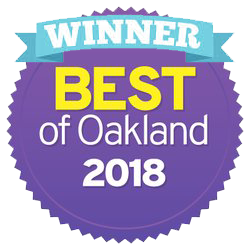 And I was awarded Best Yoga Teacher by Oakland Magazine Best of the East Bay 2018! Michelle is fiercely caring, thoughtful, funny and creative. 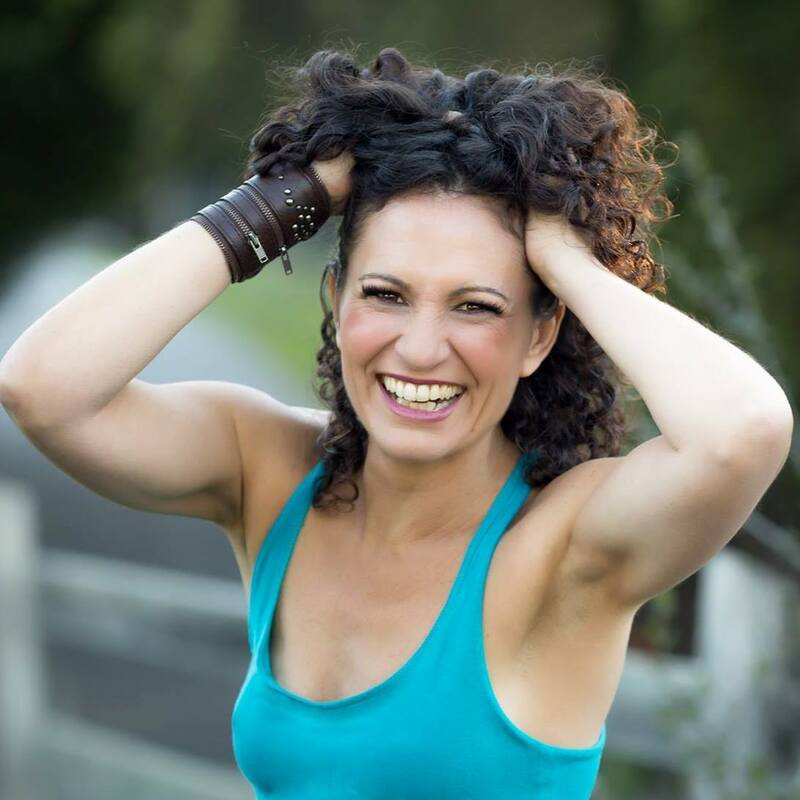 She teaches Forrest Yoga, Deep Flow, Yoga Workshops/Teacher Trainings and S Factor classes in the SF Bay Area and beyond. Today Michelle’s Deep Flow classes are a direct expression of her many years on the mat, including 16 years teaching. She is tremendously skilled at tailoring the practice to suit all levels and injuries. You can work with her privately or attend a public class/workshop. YOGA: My Deep Flow classes combine vinyasa flow, Forrest techniques, core strength and breath awareness to help students of all levels develop greater strength, flexibility and inner awareness. I enjoy creating dynamic yet mindful yoga classes and private sessions that challenge on a multitude of levels. My sensual yoga classes are designed to be empowering and fun for all women. Sensual Yoga is my own fusion of dance and yoga. I am at my best when guiding young teachers to be Extraordinary Teachers, or Lead Trainer for Stellarflow 200 HR Yoga Teacher Training. S FACTOR: I recently certified to teach S Factor, which is a movement form that incorporates pole dancing into an empowering feminine movement practice. I’ve been a student at S for over ten years, and just made the shift into being a teacher. I can’t wait to share this powerful & transformative movement with other women.